The Sisters are Edna Sey, Yolanda Sey and Kathy Sey, a spectacular trio of black voices that makes it one of the most iconic vocal moment. 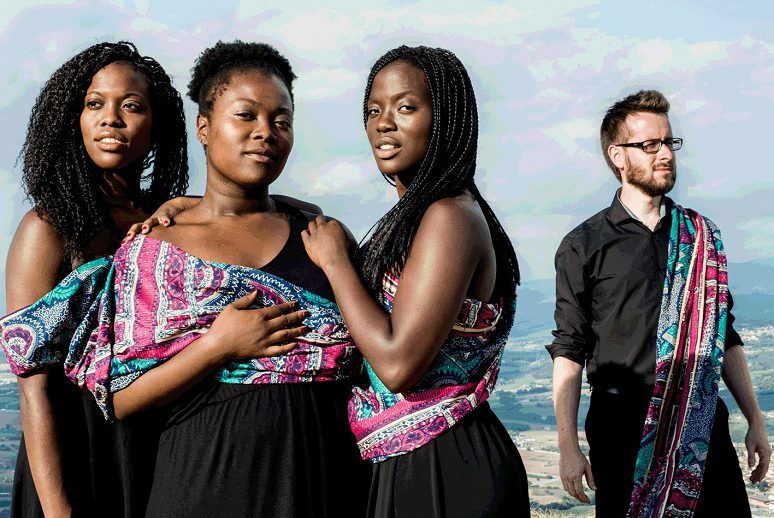 This trio of female voices invites us to a musical journey with songs steeped sense of deep emotion that often arise in the fight against injustice, human rights and hope in the future. With a fusion of gospel and soul of the spirit of Africa, these sisters extend their incredible voices around the world, combining his pace, his energy contagious music, his unquestionable talent and his true passion. Let freedom ring is their debut album. Edna Sey, Yolanda & Kathy Sey Sey voices. Albert Bartholomew, piano.